Hughes & Liddy Solicitors are lawyers practising in Dublin 2 Ireland in Company law, Commercial law, Property Law, Personal Injury Law, Employment Law,Family Law and Franchise Law. We also provide agency legal services to outside law firms. 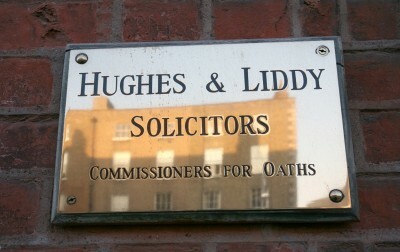 Hughes & Liddy legal firm was founded in 1984 by Nicholas Hughes and Brendan Liddy. We are a medium sized general law practice based in the commercial centre of Dublin and pride ourselves in providing a professional and efficient service to our clients. We appreciate the importance of the clients’ need to be informed as to how their file is progressing and accordingly place an emphasis on being contactable on email and direct dial phone lines. As a result we have gained a reputation for providing responsive, practical and effective solutions to our clients' needs. Our practice has an experienced commercial law department which caters in particular for small and medium sized businesses advising on all aspects of setting up and running their business. We also have affiliated law practices in Northern Ireland, UK and USA which allows us to provide our clients with access to law practices in these jurisdictions at a competitive cost. Please refer to the Areas of Practice section for more information on the services we offer and to contact a member of our practice. © 2019 Hughes & Liddy. All rights reserved.